You would be very hard pressed to find anyone in America who has not heard of Captain James T. Kirk. That’s right it is the famous Star Trek hero who has fascinated us with his exploits for many years. The starship Enterprise captain was born in the city of Riverside on the 22nd of March in the year 2228. Just behind a former barbershop location in this town stands a small plaque which proudly marks the spot where the famous captain will eventually be born. Due to the sticky copyright laws currently in existence the city was unable to display either a bust of their most famous citizen captain or one of his renowned starship. In its place the town has christened a remarkable similar image of their own known as the USS Riverside. This USS Enterprise look alike sites in the local town square for all to view. 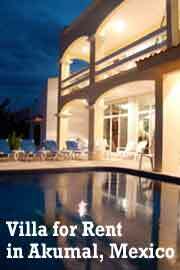 In the nearby area you will find local shops with names such as “Flower Trek” or “Future Designs by Carol”. Every year on the anniversary of James T. the area is swamped with Star Trek fans as they make their way from store to store in search of important and valuable memorabilia. 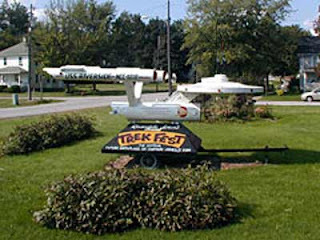 The annual Riverside Riverfest has even had its name changed to the Trek Fest in order to cash in on this popularity phase. It is not unusual to see fans walking down streets of the town with various Starfleet uniforms on or perhaps you will catch sight of a Vulcan or Klingon as well. So involved are the fans that one could easily mistake the town square as being part of the Star Trek filming set at the studio. Let’s face it, no self respecting Star Trek fan could ever go home without purchasing one of the small vials of Kirk dirt for a mere $3.00. Think how amused your friends will be when you display this container of dirt in your home that was dug up from the captains very own birth place. You are sure to be the envy of any Trek fan out there. In August of 2008, the city opened and dedicated the Voyage Home Museum to display the history of Riverside and its claim to Star Trek fame. It also contains a Time Capsule as well as a replica of the USS Riverside starship. During its opening ceremonies actor Walter Koenig of Pavel Chekov fame was on hand to examine the two room display and give it his Star Trek blessing. The Voyage Home Riverside History Center isn’t a lot to see with its mere two rooms but if you happen to be passing that way you really should stop and take a look. Trek on down to Akumal, Mexico. IT APPEARS that James T Kirk will "Voyage Home" after all - In a manner of speaking! We have been reading the articles on your website http://traveltide.blogspot.com/ and are very impressed with the quality of your information.